Feels like you are floating in air. 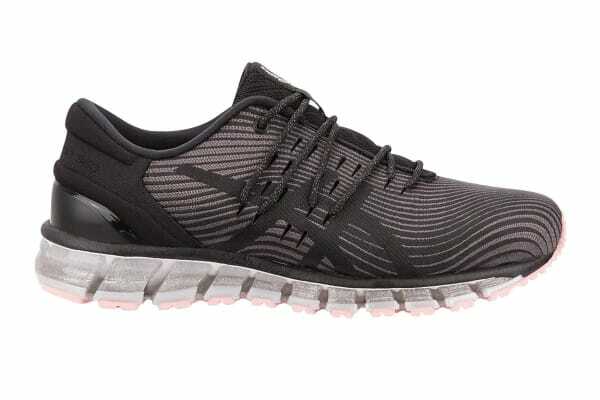 Ensure that you perform at your peak with the help of the ASICS Women’s Gel-Quantum 360 4 Running Shoes for women. Designed to help you push your endurance to the max, the ASICS Women’s Gel-Quantum 360 4 Running Shoes boast a wide range of features, design technology and innovation. Supported with 360deg of ASICS’s GEL Cushioning technology, you can rest assured that your joints and feet are well protected from impact. And with comfort a priority, the seamless construction and FluidFit upper means friction caused by traditional creases and seams is eliminated, while stretch mesh contours around your foot, so that the shoes provide you with a perfectly customised fit.